HempFX™ Uplift™ combines hemp derived cannabinoid oil with St. John’s Wort, a botanical known for its mood-enhancing benefits, and Myrcene & Linalool Terpenes. 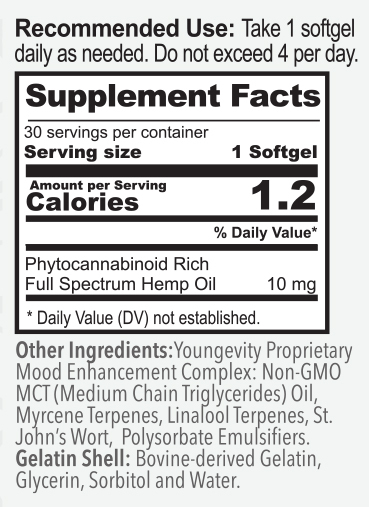 These ingredients all work synergistically to target the endocannabinoid system (ECS). The ECS is a network of cannabinoid receptors that help trigger the release of serotonin and dopamine - the hormones responsible for feeling good. Mood and cognitive disorders are usually due to a hormone imbalance, and hemp derived cannabinoid oil may help restore these levels in your brain.